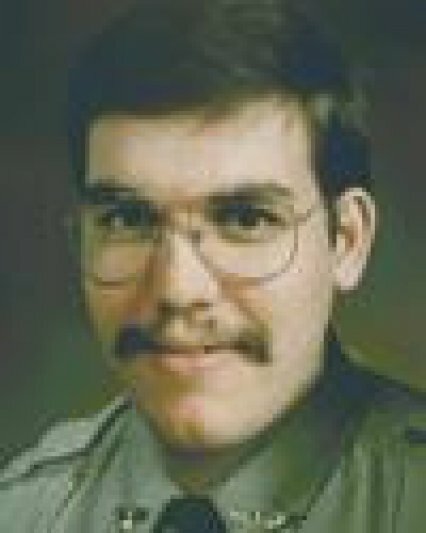 Chief Johnny Lee Teter died from injuries he received one week earlier in an accident. Chief Teter responded from home after hearing that a chase was coming into his jurisdiction from an adjoining jurisdiction. Chief Teter joined the pursuit and was involved in an accident. The suspects were apprehended and tried for the murder of a police officer. They were found not guilty because the jury felt the chief should not have been involved in the pursuit. 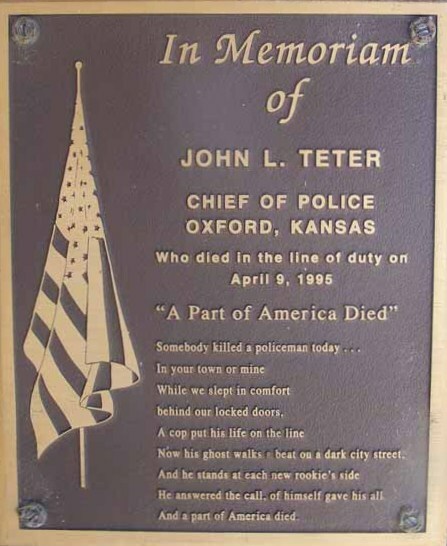 Chief Teter had become Oxford's police chief just three weeks prior to the accident. He is survived by his wife, daughter, parents, and two siblings.